LSB reports on performance of regulators in the legal services sector 12 December, 2012- The Legal Services Board has published its first assessments of the performance of regulators in the legal services sector emphasising the importance the LSB attaches to improving regulatory performance in the coming year. CLC opposes coneyancing referral ban 10 November, 2012- The Council for Licensed Conveyancers has issued a consultation requesting responses as to whether, based on the evidence available, a ban on referrals is justified. SRA confirms fees structure for 2012/13 4 September, 2012- Law Society Council and Legal Services Board ratify the SRA's approach to fees for the year 2012/13. CML issues new seperate representation instructions 22 June, 2012- The Council of Mortgage Lenders has issued a new set of instructions for conveyancers acting for lenders under separate representation conveyancing transactions in England and Wales. SRA Handbook goes to version 4 21 June, 2012- SRA launches the fourth version of its handbook just 10 months after launch. LSCP urges widening of Legal Ombudsman complainants 15 June, 2012- Legal Services Consumer Panel urges the Legal Ombudsman to begin to accept certain complaints from those other than lawyers' clients. SRA Board makes financial protection plans 29 May, 2012- As part of its annual review process, the Board of the Solicitors Regulation Authority has decided to make a number of changes to its Financial Protection Policy. Diversity among judges to be promoted 11 May, 2012- Plans announced today by Justice Secretary Kenneth Clarke will mean that more women and those from minority backgrounds will be encouraged to become judges. Regulators agree to share information 4 May, 2012- Regulators from across the legal, accountancy, financial and property sectors enter into a formal agreement that will allow greater sharing of information in the public interest. 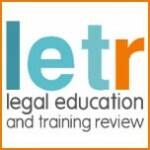 Junior Lawyers call for minimum wage consultation delay 19 March, 2012- JLD calls upon the Solicitors Regulation Authority to delay its consultation on scrapping the minimum wage until after the Legal Education and Training Review and the gathering of further evidence. SRA releases advice on recruiting COLPs and COFAs 15 March, 2012- SRA extends COLP and COFA registration deadline and provides some basic advice. BSB & Bar Council launch Barrister Connect 13 March, 2012- BSB and the Bar Council launch a new system, called Barrister Connect, to enable barristers to renew their practising certificates online. SRA to maintain fees structure 12 March, 2012- SRA Board decides that the current structure for practising fees should be maintained - including in respect of the proportion of Compensation Fund contributions. Online parental support hub launched by Bar Council 12 March, 2012- Bar Council launches Parental Support Hub for those combining practice with parenthood or primary carer responsibilities. SRA issues SDLT Scheme Warning 20 February, 2012- SRA issues warning to those solicitors planning to become involved in Stamp Duty Land Tax schemes. LeO changes postal address 20 February, 2012- Legal Ombudsman changes address for postal communications forcing solicitors to make changes to client care letters. ABS applications to SRA approach 100 in first month 9 February, 2012- SRA announces almost 100 ABS applications in the first month and that it is hoping to process many of the straightforward ones quickly. 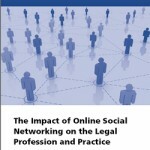 IBA publishes global report on social networking and the legal profession 9 February, 2012- IBA publishes a report examining the role of online social networking within the legal profession and legal practice, and assessing whether there is a need to set principles regarding usage. Scottish Law Society opens latest stage of constitution consultation 9 February, 2012- Scottish Law Society's consultation on a new constitution to strengthen member rights, improve corporate governance and increase transparency. Law Society President predicts solicitors and barristers will come closer together 26 January, 2012- Law Society President John Wotton predicts that barristers and solicitors will, in the future, increasingly work together in the same practices. SRA issues PPI responsibilities reminder 18 January, 2012- SRA reminds solicitors of their responsibilities when canvassing for clients that want help with claiming for mis-sold payment protection insurance. Bar Council and Bar Standards Board Publish ‘Bar Barometer’ 18 January, 2012- Bar Council and the Bar Standards Board publish "Bar Barometer", an annual report produced by the Research Department setting out statistical trends within the Bar. Cloud computing guidance 18 January, 2012- Law Society of Scotland issues guidance for Scottish solicitors on the potential problems of cloud computing. 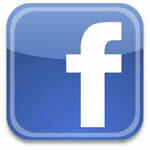 Law Society urges social networking caution 9 January, 2012- Law Society warns solicitors to be cautious about adding a client on sites such as Facebook for fear of merging professional and personal lives leading to a breach of client confidentiality.